Nan Arquitectos has used a muted material and colour palette to evoke feelings of peace and calm at this combined physiotherapy and beauty centre in northwest Spain (+ slideshow). 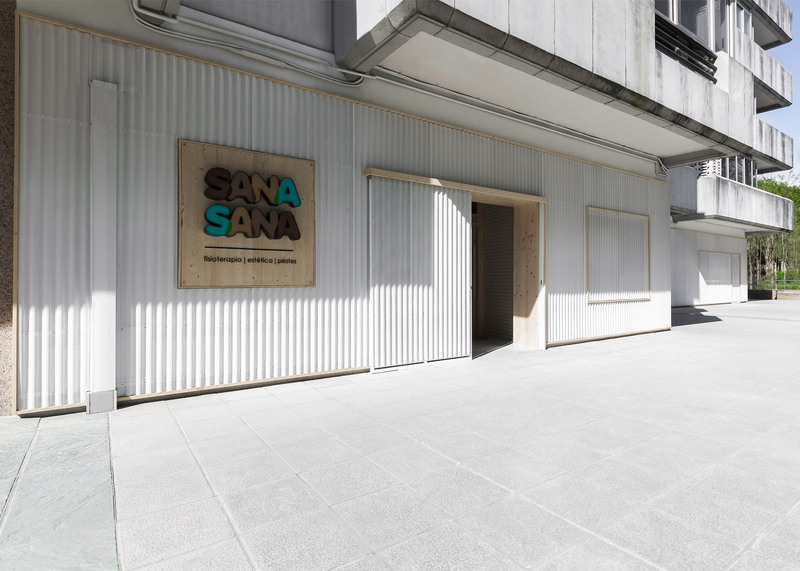 SanaSana Physiotherapy and Beauty Centre relocated to a bigger site in the industrial town of O Porriño to keep up with its expanding business. Within the new space, Spanish studio Nan Arquitectos created six cabins for physiotherapy treatments and included a studio for pilates. The building also houses a changing room, an office, a bathroom, a beauty treatment area and a utility room. To complement the relaxing treatments available, the architects kept the space bare by using a simple material and colour palette of white paint and pale wood across the interior. 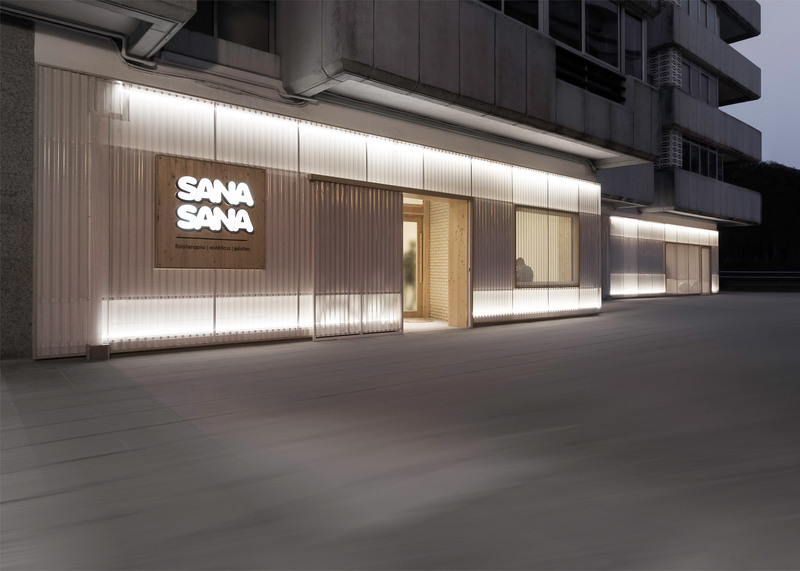 A similar pared-back aesthetic was used to create a calming atmosphere at a pharmacy in Japan and spa in Switzerland. "The predominant colours are natural wood colour, neutral white walls and neutral grey floor," Wenceslao Lopez of Nan Arquitectos told Dezeen. "We chose these colours to enhance the contrast of the wood and provide warmth." 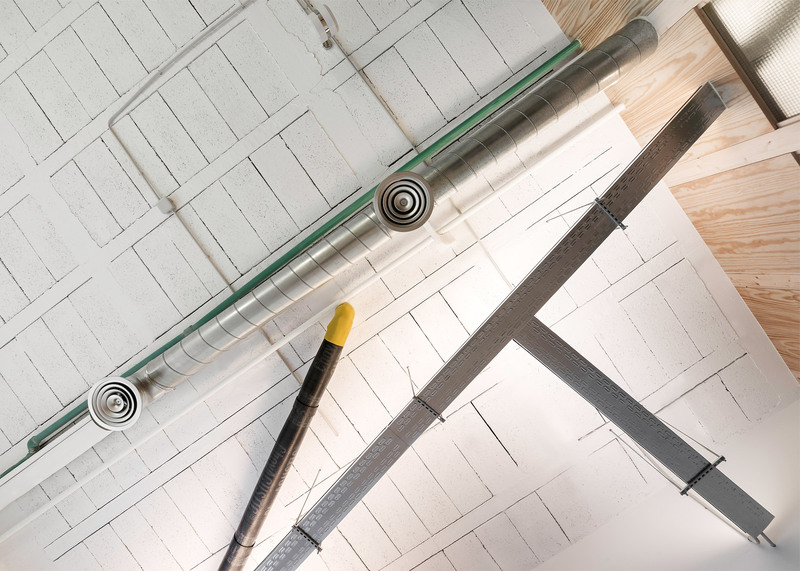 The interior also features exposed brick walls and steel piping, which runs along the white-washed ceilings. A Pirelli rubber floor patterned with raised circles runs throughout the building. A staggered corridor divides the centre into two, creating waiting areas outside the office at the entrance, and in between the changing rooms and pilates studio towards the back. 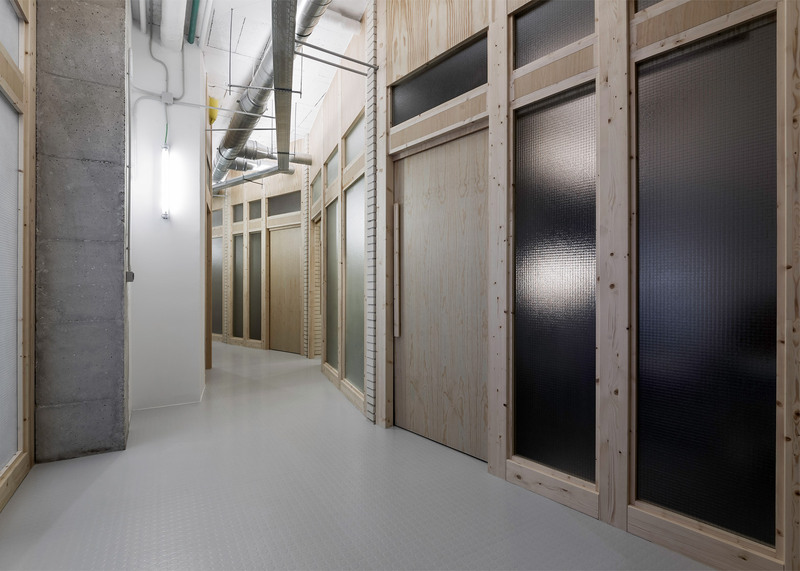 Panels of frosted glass and wooden doors hide a row of treatment rooms that line one side of the corridor. Windowless physiotherapy rooms, which are lit by fluorescent tubing, serve to create a feeling of isolation and privacy. 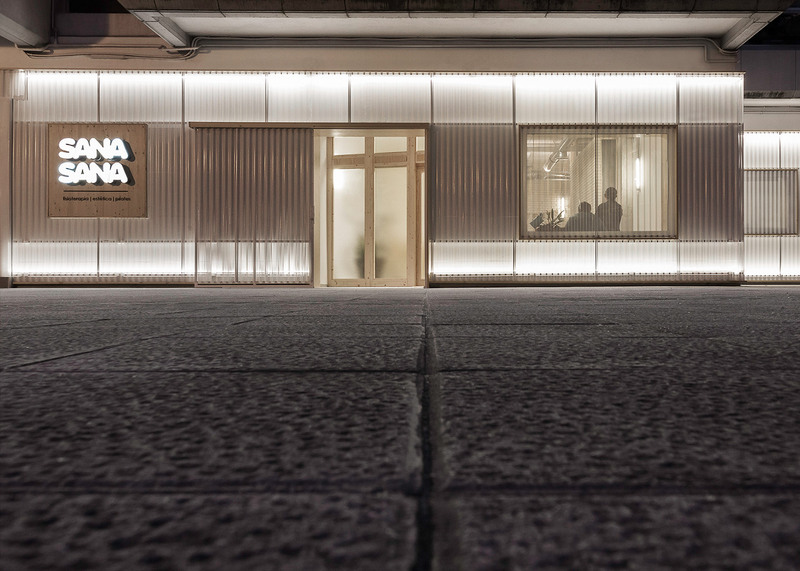 "We tried through design to convert the 'booths' in a suitable space for appropriate treatment," Alberto F Reiriz of Nan Arquitectos added. 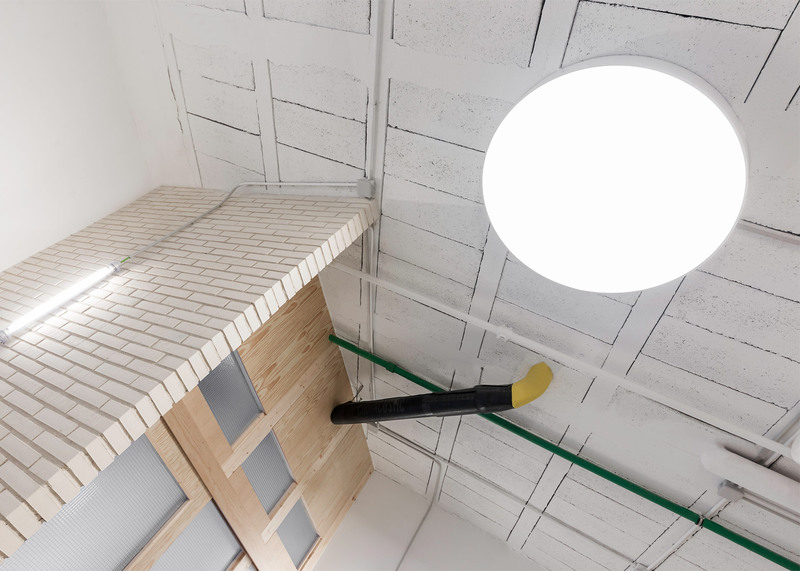 "As it is a physiotherapy centre, we tried to make the enclosed spaces quiet, where users can relax. We believe we got this feeling through material and the light used." 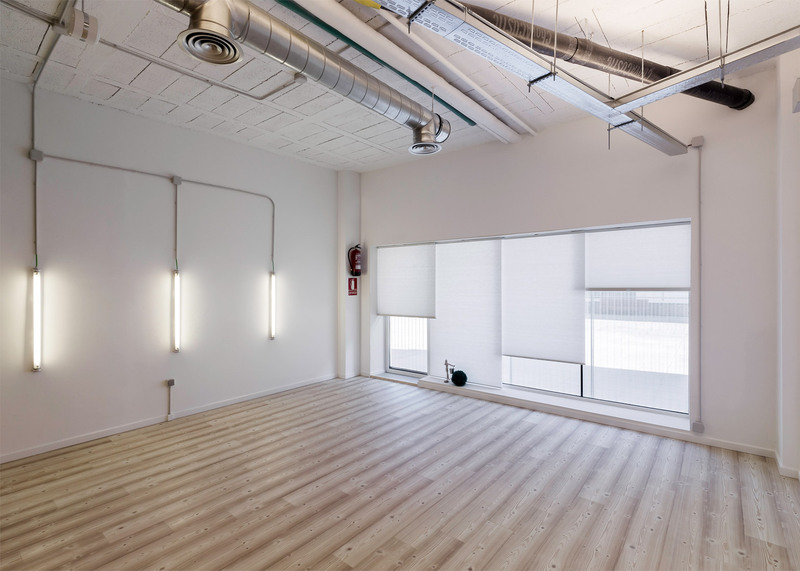 The studio for pilates and other gym-related activities retains the same minimal decor, but with added pine wood flooring and a window that takes up the majority of one wall to let in natural light. 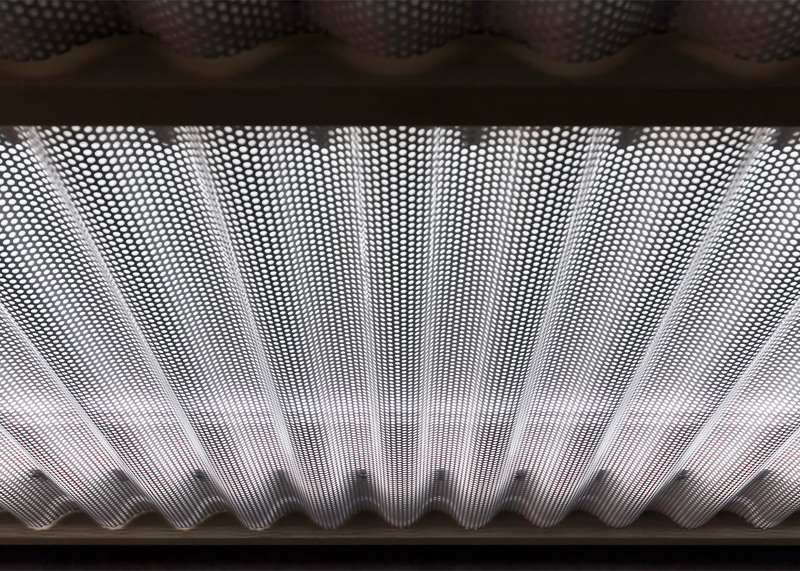 Corrugated and perforated aluminium panels covers the street-facing facade, so the building appears translucent during daylight and emits a soft glow at night.